Little snippets of beautiful stitches form a garland around the edges of this sampler. 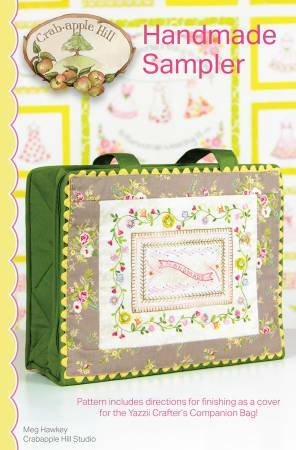 The pattern includes directions to make a decorative front for a Yazzii brand Crafters Companion bag, but you could frame this or put it on the front of a tote and it would be just as pretty! This was designed as a class project and uses 12 embroidery stitches, along with a tiny bit of crayon tinting!